Explains how astrology can help teens understand themselves and take charge of their lives. 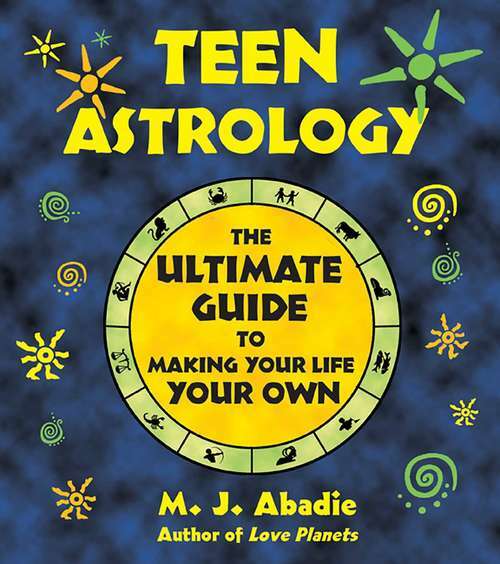 • The teen market is the fastest-growing segment of the book-buying public.• A perfect party book for teens everywhere.• No previous knowledge of astrology is necessary.• M. J. Abadie has published three previous bestsellers: Finding Love, Love Planets, and Child Astrology. Why an astrology book just for teens? This is the ideal time for them to learn to understand their own inner dynamics and go after the life they really want. And astrology is simply the best tool available for gaining insight into oneself and one's relationships with other people. Teen Astrology shows how the Sun represents outer personality, while the Moon reflects the inner self, and how to balance the two. Venus rules matters of the heart, while Mars rules energy and passion. Understanding the dynamics of these two planets can help teens safely navigate the turbulent waters of love. Understanding their Mercury placement will help teens discover their most natural ways of learning, thinking, and communicating. By comparing their chart to those of their parents teens can figure out how to bridge the generation gap and open up new lines of communication. Absolutely no previous knowledge of astrology is needed to use this book--it provides full explanations of all astrological influences and all the necessary tables for locating planetary placements of friends and family.